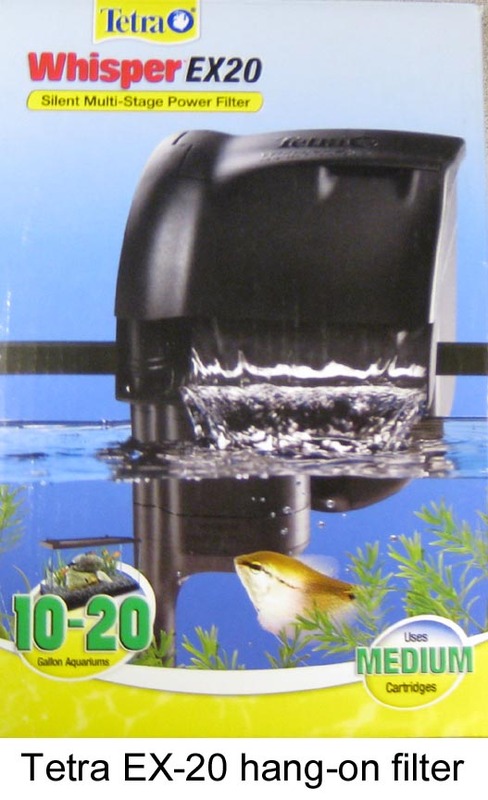 Finally, DIY for people who have been wanting a hang-on-back algae scrubber: here are the plans for converting a Tetra EX-20 power filter to a HOB upflow scrubber! Note: This very simple DIY version is not quiet. If made for a nano, it will probably be the loudest thing on your setup. It is made to be an easy DIY by not including extra steps which would make it more quiet, although it will get more quiet as it fills with growth. These optional steps for quieting will be mentioned but not shown. 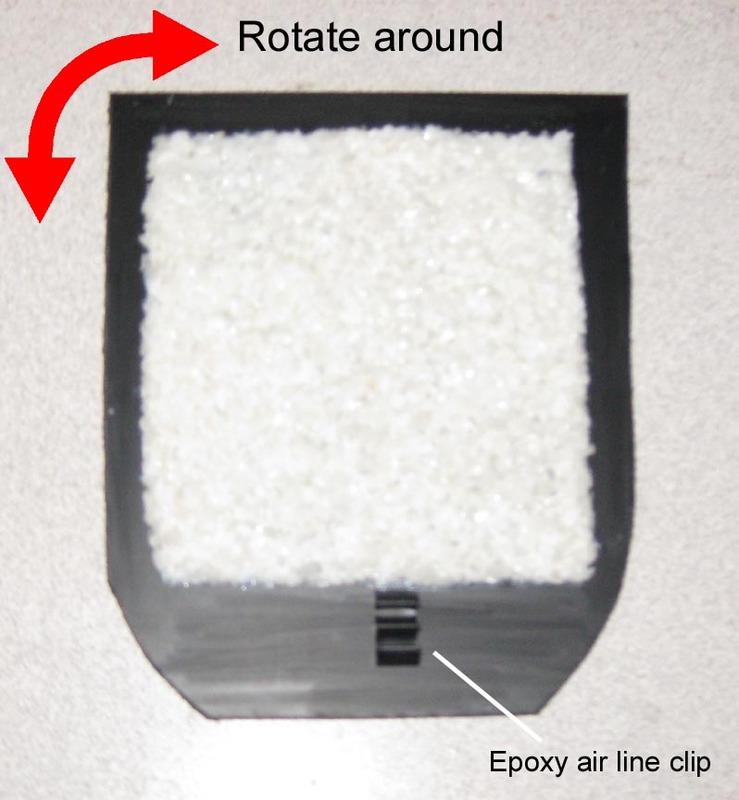 This simple DIY however does keep all the red light inside; none gets into the tank, or on the glass, and only very small red specks of red light are visible on the top. Other power filters will work too, you will just need to change the shape of the wall in the next step. 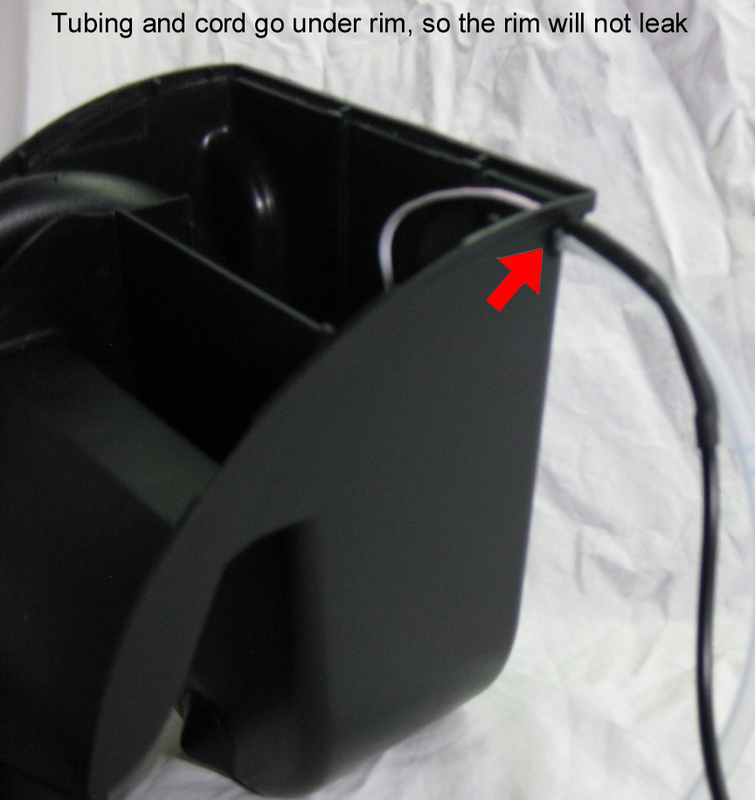 The pics show the hole on the right side, but you may want to put the hole on the left side instead, so that the tubing can go the same path as the filter power cord. 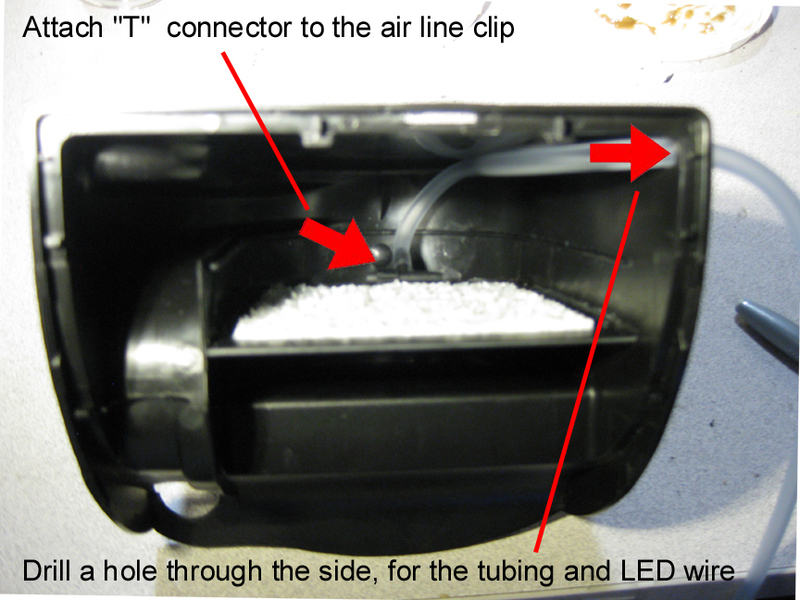 Inside the filter box, the air tubing should go down first, to the bottom of the filter box, and then upwards to the hole. This way the tubing will not be in your way when you reach in for harvesting. 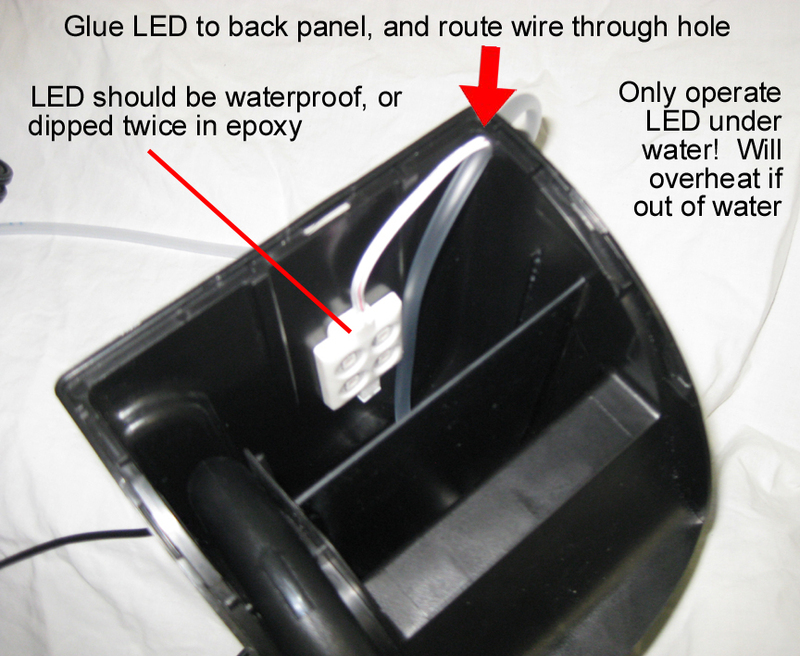 To dip your own LED in epoxy, first solder your wire to the LED. Then clean the solder flux off, using alcohol and a toothbrush; then clean again with fresh alcohol to get all residue off of the LED and the first 6” of wire. Then dip the LED and the first ½” of wire into clear epoxy such as Devcon 30 Minute, and let harden over night. Then dip again in new epoxy, but this time go further up the wire, about 2”. Let dry over night again. 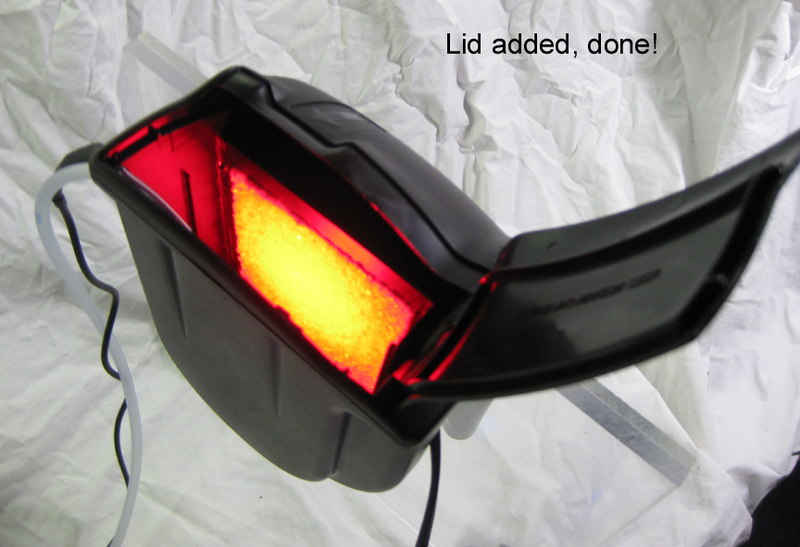 Now epoxy your LED into position so that it shines on the middle of the algae attachment surface. ONLY OPERATE THE LED UNDER WATER. 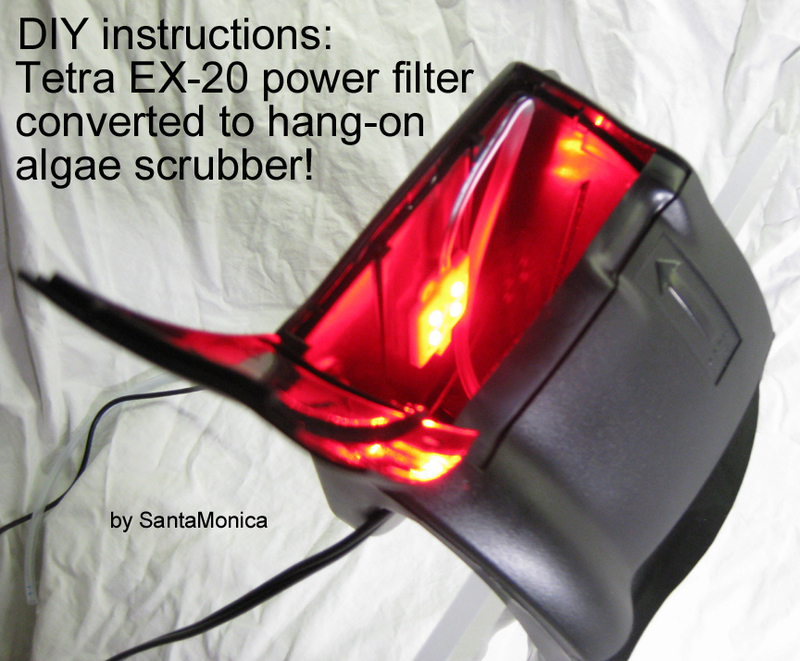 It will overheat and melt the filter box if you leave the LED on without water. You can turn the LED on for just a few seconds to make sure it works, but any longer than this needs to be underwater only. 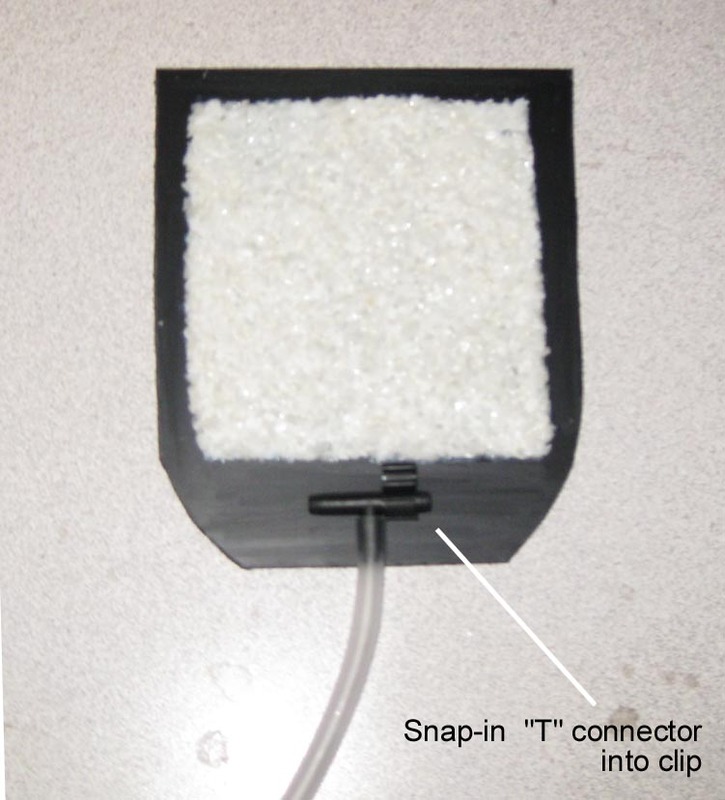 After the LED is in place and the wire routed through the hole in the side of the filter box, silicone the hole on the inside and outside, to keep the water inside when it is bubbling. 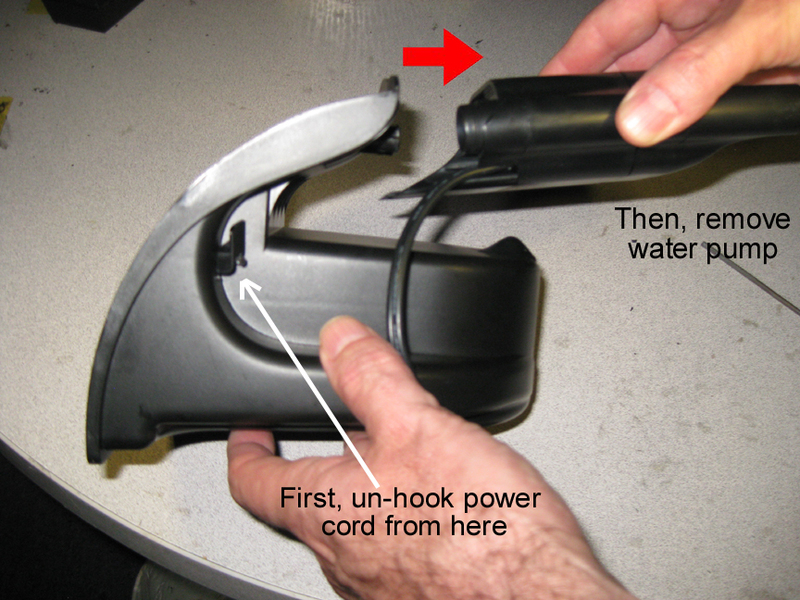 LED drivers isolate the LED from the power supply, so it is safe to put the LED underwater. 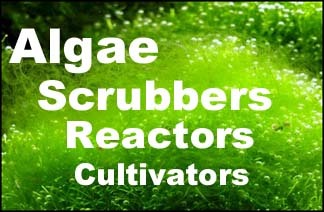 Variations: The first mods that you may want to consider are ones to make the scrubber more quiet. You can always try it as-is first, and add the mods later if needed. The way it currently is, the sound of the bubbles comes through the walls of the plastic filter box. Of course you can reduce air flow, such as at night if it’s near your bed, but the best results are always with more bubbles, not less. You could also use an aquarium airstone, which would make smaller bubbles and thus be more quiet, but an airstone will need periodic cleaning when it clogs with growth. 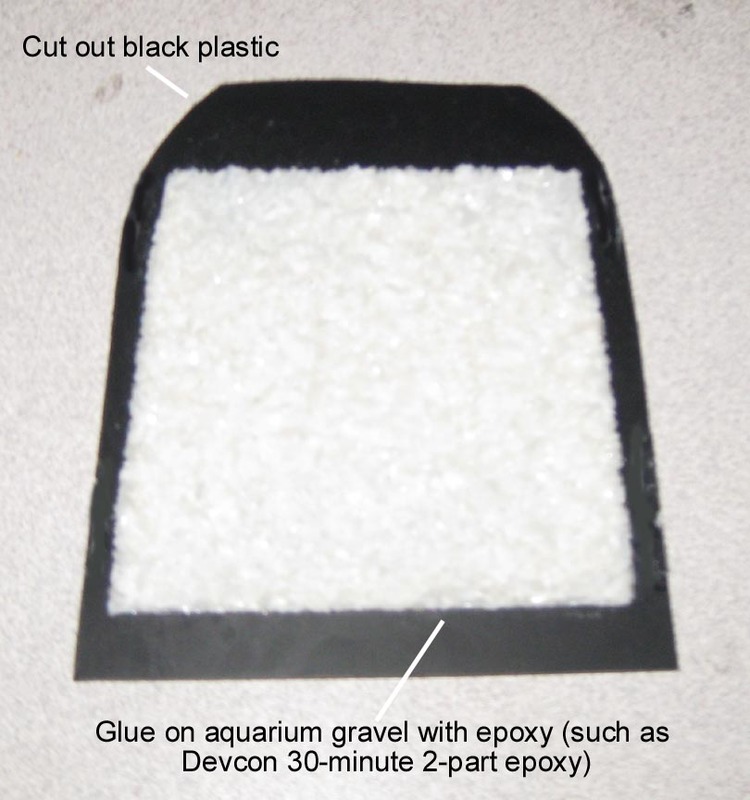 The first way to reduce the bubble sound is to thicken the walls by adding epoxy to them, or maybe, epoxy and gravel. To do this, you would coat the inside of the entire compartment with epoxy, and maybe even do so more than once. The thicker, the better (weight does not matter). 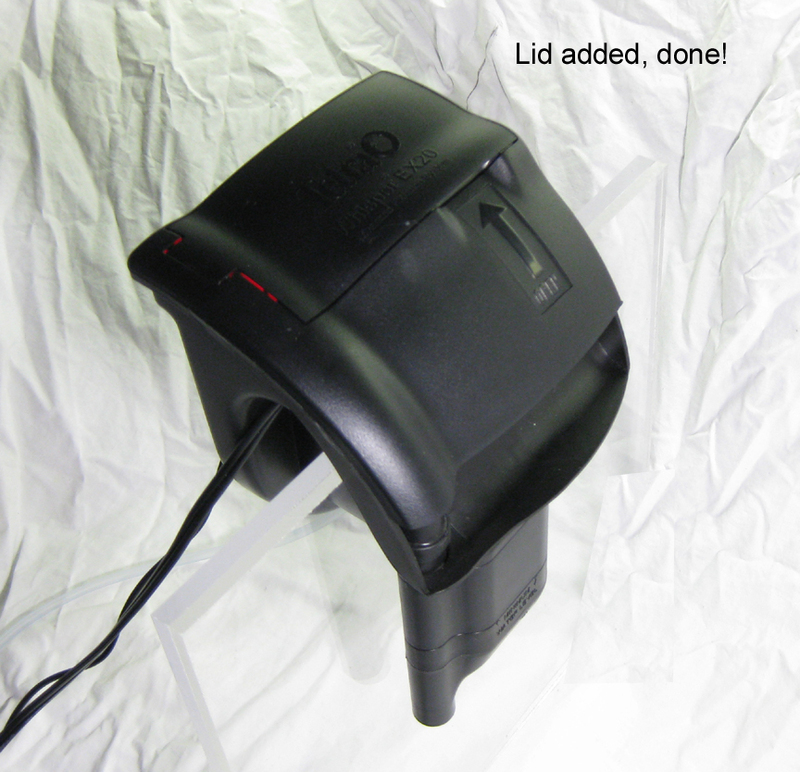 You could also try doing this to the lid, but you will need to make sure the lid can still fit. 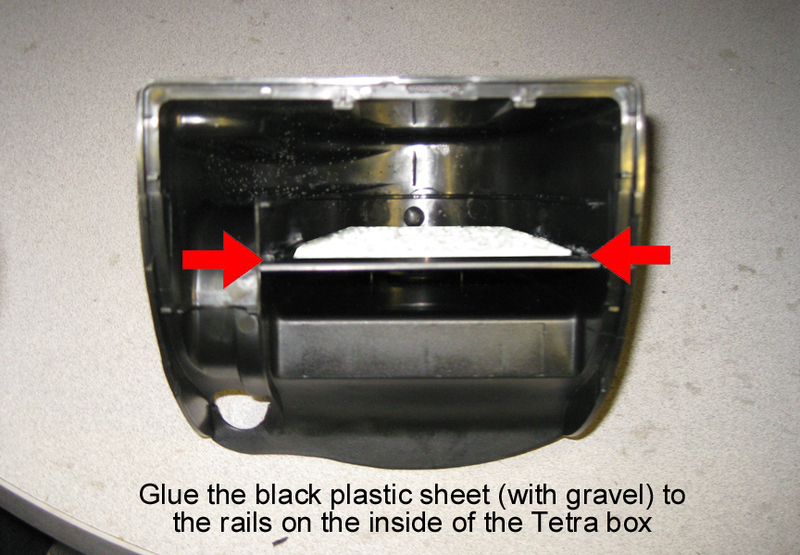 One way to try this is to use reef-putty: put a thin layer all over the bottom of the lid, then lay a sheet of plastic sandwich wrap over it, and press it into position on the filter box; when it is dry, pull the plastic wrap off and the putty will have taken the shape of the internal parts such as the water tube. 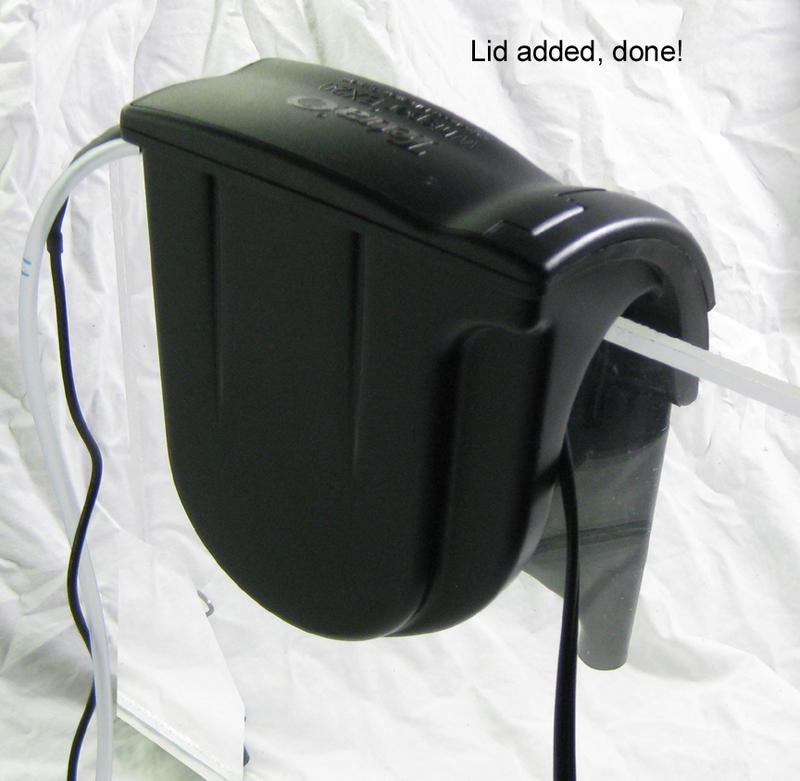 Next you could add some sound-absorbing material to the inside of the lid; this well help reduce sound from reflecting down through the water drain area into the aquarium. Black polyester felt, maybe 1/8” thick, glued to the bottom of the entire top part all the way to the end of the water path, will absorb a lot of the reflecting sound inside. Just make sure the lid fits before gluing anything in place. Lastly you could try to seal the crack where the lid opens up. 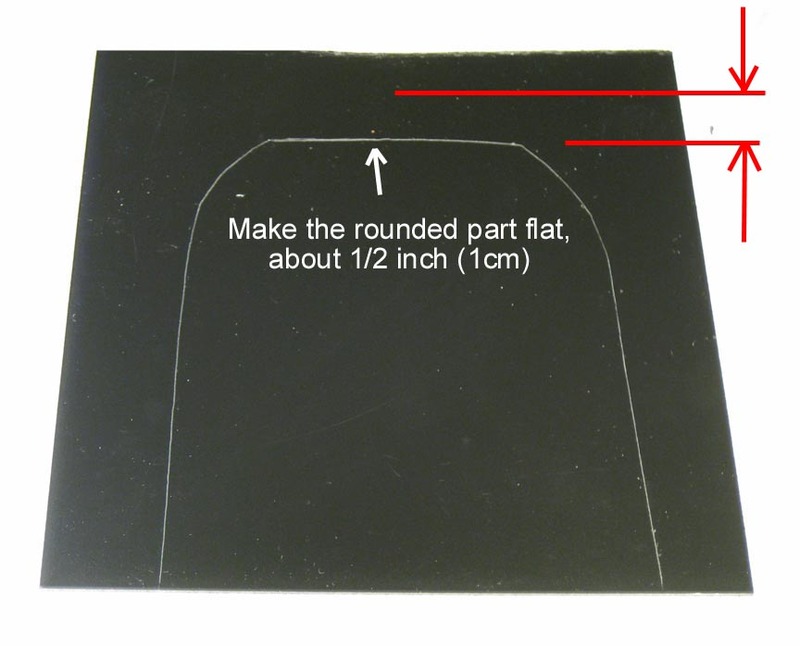 One way is to put some black silicone along the crack, and then lay a sheet of sandwich plastic wrap over the opening, and then close the lid. When the silicone dries, remove the plastic wrap and the lid should fit tight with no gaps. 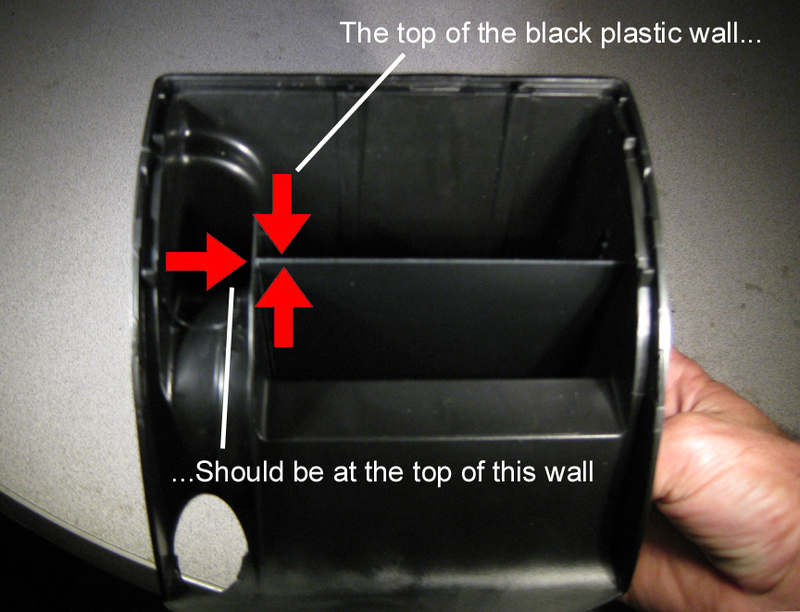 The other variation might be a removable screen/wall: Instead of gluing the plastic wall in, just slide it in the slots where the green filter basket slid into. It probably would need to be a tight fit, because it may want to pop up on it’s own. With this removable screen/wall, you could remove just screen for cleaning, instead of the whole filter box. However you’d still need to take the whole filter box to the sink when you need to brush out the insides. So, post your build and growth pics here, so we can all see how it is going! Last edited by SantaMonica; 06-29-2014 at 03:16 AM. Slight changes in instruction wording added. 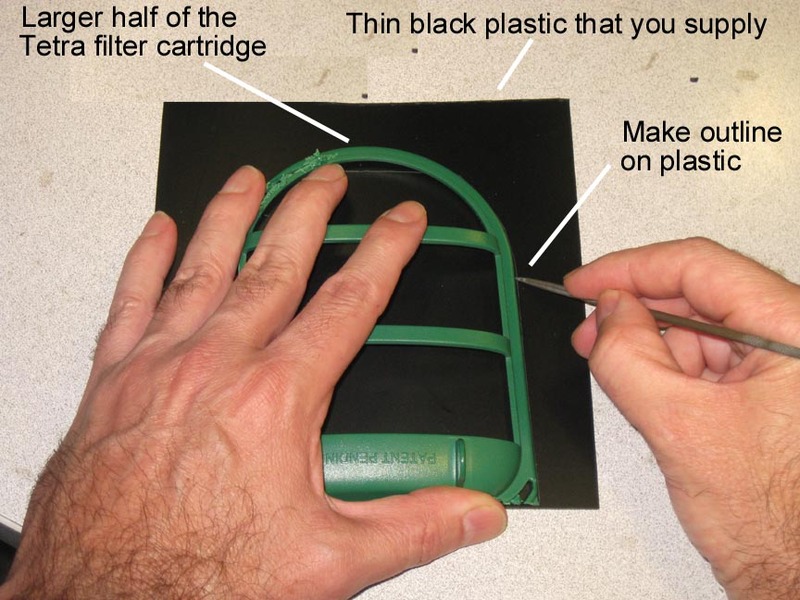 Removable screen/wall: Instead of gluing the plastic wall in, you can slide it in the slots where the green filter basket slid into. It probably would need to be a tight fit, because it may want to pop up on it’s own. 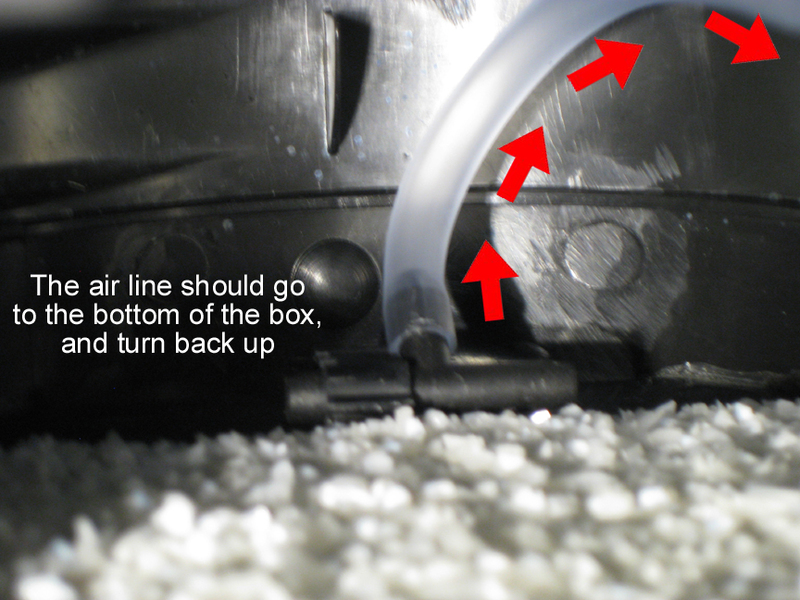 With this removable screen/wall, you could remove just screen for cleaning, instead of the whole filter box. However you’d still need to take the whole filter box to the sink when you need to brush out the insides. Couldnt you in theroy..... attach the screen to the green frame, then it would be removable but still having a tight fit to prevent it poping up? I dont know just an idea. Yes you could do that. Should be tight enough. Dipping in epoxy (twice) is easy enough; I'd just do that since you really want a 3w LED, and I don't know where to get a 3w waterproof one. This looks great. I think I'll give this a go. First though, is your 4 led array a total of one or three watts, or per each led? I'm looking at setting up a 55 gal fw tank with a pretty good bio-load; on the order of a Jack Dempsey, catfish, etc. I have no idea what the feeding rate will be, so am struggling with the proper size. As an idea, what do you think about using an EX 70 split into two halves with independent 3w led? I am thinking that I could start with just one side illuminated, then bring the other side online as the bio-load increases with fish growth. That would also allow for alternate harvesting between the two halves. The "array" was a total of 1 watt, and was too weak. You want at least one 3-watt, and preferrably two of them. Wide angle 120 degree or more. I have a EX-70 here, and yes it would be perfect; two 3-watt LEDs per side. Put the rock texture into the green sliding frame, so the screen can be slid out. I'm going to do this on the next version. Great, thanks. Looks like I'll be placing a parts order! This may be so basic and easy it doesn't need mentioning, but I'm a little slow sometimes. How do you make the bubbles? 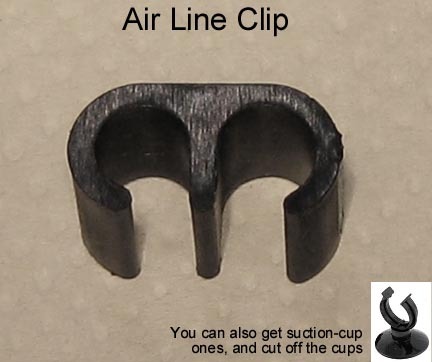 Drill small holes in air line tubing attached to your tee? Does the tubing type matter, i.e., vinyl vs silicone? What works well for plugging the ends? 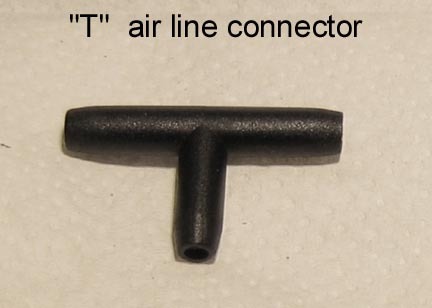 The bubbles just come out of the ends of the "T", therefore the ends are not plugged. Since the tubing makes a tight turn at the bottom, I'd use silicone. That's too easy! Alright, the build is in the queue. I'll post results when everything is operational.